A polyphthalamide (PPA) based on 4T chemistry with the highest Tg in the market of 160°C and an outstanding set of mechanical and chemical properties. ForTii Ace helps you to engineer the incredible, by thinking beyond metal, and beyond its traditional alternatives. In fact this versatile material is the next generation PPA (polyphthalamide), that delivers a performance close to PEEK. If you’re looking to unlock new design potential in automotive applications – boosting performance, cutting fuel emissions and reducing cost of ownership - then ForTii Ace is your number one choice. ForTii Ace can replace metal at just 50% of the weight over a wide range of temperatures - but with no compromise on performance. NVH (noise, vibration, harshness) and need for secondary operations will be reduced. PEEK has a great performance profile for metal replacement, however it faces an economic hurdle. 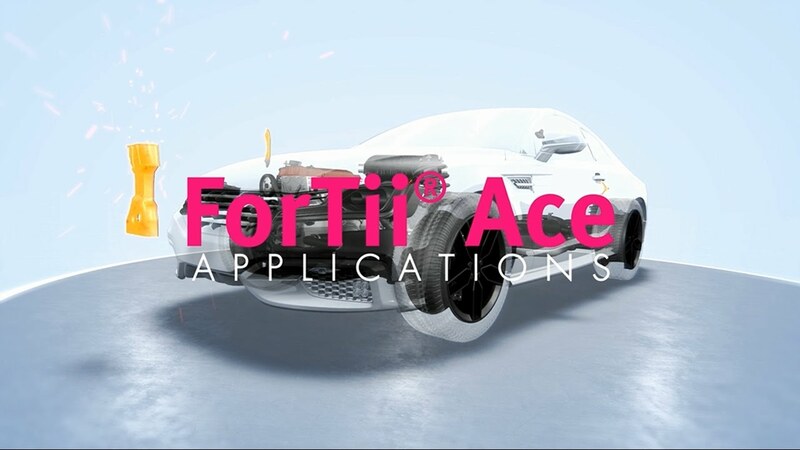 ForTii Ace delivers similar high-heat resistance, chemical and mechanical properties, but at significantly lower cost and with easy and robust processing. 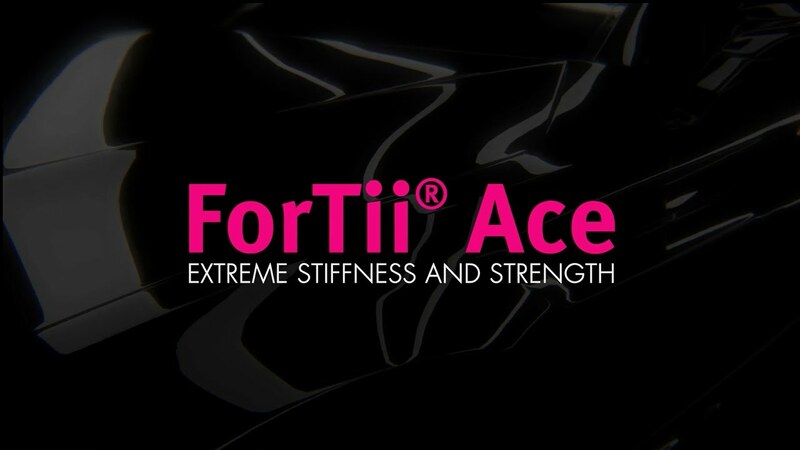 ForTii Ace has a Tg of 160°C, which results in superior mechanical performance. It offers higher chemical resistance vs e.g. EGR, water/glycol and transmission oils. This enables engineers to realize new designs answering the need for light weight and integrated parts. Up to 50% weight reduction in comparison with metal;Part integration and increased design freedom;Easy and robust processing;Potential applications: engine mount/bracket, transmission parts, structural oilpan, timing chain cover, actuator and EPS housing, etc.